A lot of people think that disability is only for people who were born with a serious handicap. This isn’t the case. Disability was designed to help people who get hurt and can’t work. Most people only receive short-term disability. However, there are others whose injuries are so severe that they’re never able to work again. It’s not easy to qualify for disability in Wisconsin. The requirements are strict on purpose. Once someone is approved for disability, it’s actually quite difficult to get them off disability. Since the program was meant to be short-term, the State tries to be as strict as possible when it comes to qualifying for benefits. Qualifying for disability in Wisconsin is similar to most other states. You have to prove that you have been unable to work at least one (1) year. Or, you have to show that you won’t be able to work for at least one (1) year. Since most people can’t go a full year with no income, most applicants fall into the second category. The good news is, the approval rate in Wisconsin is a bit higher than the rest of the country. The approval rating in Wisconsin is 35% as opposed to just 31% in the United States. What this also means is that almost 65% of all applicants will be denied. Most people have to appeal their claim in order to receive benefits. This is why it’s important to know what it takes to qualify for disability in Milwaukee, Wisconsin. 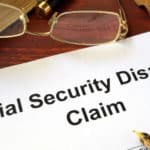 Once you submit your claim to the Social Security Office, it will be assigned to a claims’ examiner. He is then going to request all of your medical records. This will include records from your doctors, hospitals and any other providers. If the examiner doesn’t feel there’s enough medical documentation to substantiate your claim, he’ll ask you to undergo an additional medical examination. They’re looking for some proof that you’re disabled, and if this means you have to undergo additional exams, so be it. If your claim is approved, you’ll receive a notice and you’ll start receiving your benefits. But if your claim is denied, you’ll also receive a notice. You’ll have five (5) days to appeal your denial. If you file an appeal, the panel is going to review the same information as the claims’ examiner. If you have new information, you can submit that as well. Most cases do not win an appeal at this level. It’s when they move to the next level, an appeal’s hearing, that your case has a better chance at being approved. Your Milwaukee SSI Disability lawyer knows how to handle your appeal. There are two ways you can qualify for disability in Wisconsin. You must show both a medical basis for disability and a non-medical basis. The impairment is so severe that it interferes with your ability to carry out day-to-day activities, including a job. Your Milwaukee SSI disability attorney is familiar with all of these requirements. He’ll craft an argument in front of the Administrative Law Judge at your appeals hearing. Your lawyer is going to fight to get you the benefits you deserve. If you’ve been injured and are unable to work, you need to call a Milwaukee SSI disability attorney. He can review your medical records and see if he believes you can qualify for SSI under Wisconsin. Your attorney can help you file your initial claim for disability. He can also help you file an appeal if necessary. Since 70% of all social security applications are denied, chances are, you will have to file an appeal. Call and schedule your initial consultation today. You can meet with an experienced disability attorney who can answer any questions you may have.